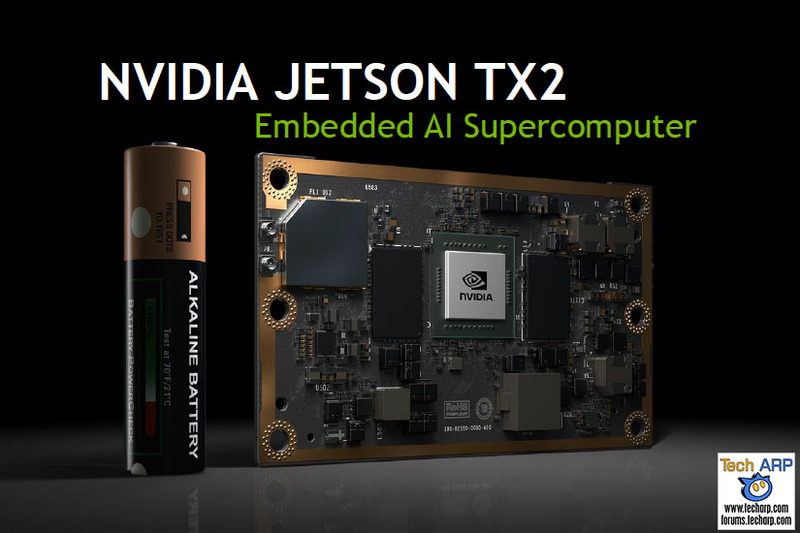 NVIDIA just announced the Jetson TX2 embedded AI supercomputer, based on the latest NVIDIA Pascal microarchitecture. It promises to offer twice the performance of the previous-generation Jetson TX1, in the same package. In this tech report, we will share with you the full details of the new Pascal-based NVIDIA Jetson TX2! Artificial intelligence is the new frontier in GPU compute technology. Whether they are used to power training or inference engines, AI research has benefited greatly from the massive amounts of compute power in modern GPUs. The market is led by NVIDIA with their Tesla accelerators that run on their proprietary CUDA platform. AMD, on the other hand, is a relative newcomer with their Radeon Instinct accelerators designed to run on the open-source ROCm (Radeon Open Compute) platform. 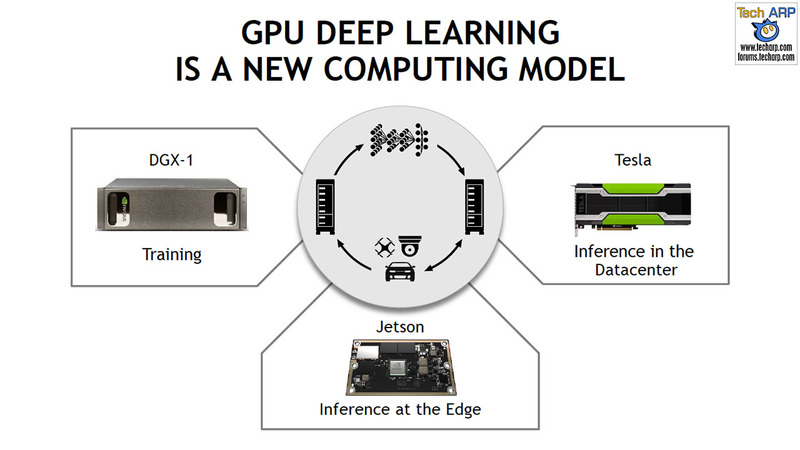 GPUs today offer so much compute performance that NVIDIA has been able to create the NVIDIA Jetson family of embedded AI supercomputers. They differ from their Tesla big brother in their size, power efficiency and purpose. The NVIDIA Jetson modules are specifically built for “inference at the edge” or “AI at the edge“. Unlike AI processing in the datacenters or in the cloud, AI in the edge refers to autonomous artificial intelligence processing, where there is poor or no Internet access or access must be restricted for privacy or security reasons. Therefore, the processor must be powerful enough for the AI application to run autonomously. Whether it’s to automate robots in a factory, or to tackle industrial accidents like at the Fukushima Daiichi nuclear plant, AI at the edge is meant to allow for at least some autonomous capability right in the field. The AI in the edge processors must also be frugal in using power, as power or battery life is often limited. Previous : The Avengers AVR116T & AVR10T Tablets Revealed!